Something every mum has in common is the occasionally-injured child…. whether it’s a sprained wrist, a knock on the head or a sore foot, we’ve all been there! How many of you have done as I have in the past and reached for a packet of frozen peas in the freezer? Or perhaps you’ve been organised enough to have a cold pack, ready in the deep freeze for those unforeseen emergencies? But what about the times when you’re not at home and you’re nowhere near your freezer? I’m so pleased to say that I have found the perfect solution! CoolXChange is a revolutionary 2-in-1 Gel Bandage designed for advanced recovery for pain and inflammation by providing cooling and compression therapy in one easy step. 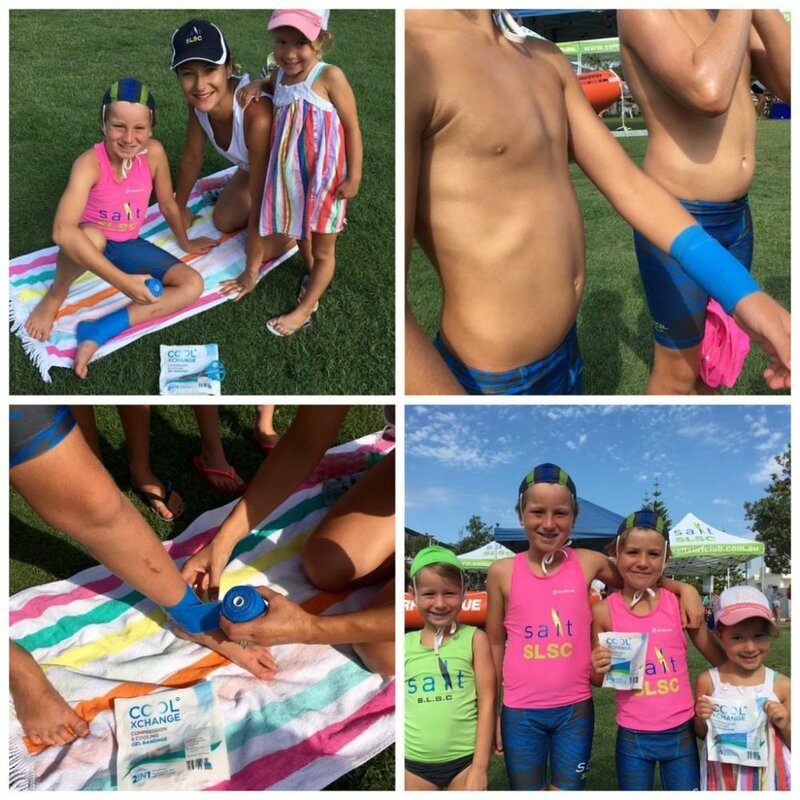 It can be hard to get kids to sit still with an ice bag, which means a lot of the time their injury is not being treated for long enough. On the flip side, if you keep ice on for too long it can cause ice burns or damage to tissues! CoolXChange makes it easy, kids can wear it continuously for up to 2 hours and can go on with their daily activities! And, best of all – it doesn’t need to be kept in the freezer! CoolXChange works by fast-tracking the common first aid treatment method of R.I.C.E (Rest, Ice, Compression, Elevation) by combining the cooling and compression stages for effective recovery from muscle sprains and strains, without requiring refrigeration. It’s estimated around 5.2 million Australians suffer from sports related injuries each year (according to the Medibank Sports Report 2006), CoolXChange is the answer to an easy, affordable and efficient recovery experience. It’s ready to use anywhere, anytime, is reusable and doesn’t require refrigeration. All you need to do is wrap CoolXChange around the injured site three times (three layers), as this allows for best rate of evaporation. For me, it’s so comforting to know that I have CoolXChange close at hand in the house and in the car – for those unforeseen mini-disasters that can happen every now and then. When Mietta hurt her wrist diving for the flag at nippers. When Oscar fell off his skateboard, hurting his knee. So I can’t recommend CoolXChange highly enough! What’s not to love about a product that gives a mum peace of mind and, most importantly, is an essential part of any parents’ first aid kit. You never know when you might need it – a little accident might be just around the corner! What's your favourite item in your First Aid kit?